San Francisco is implementing a comprehensive suite of policy initiatives and incentive programs to improve the performance of new and existing buildings; these are regarded as among the most forward-thinking and effective policies in the nation. San Francisco has set requirements for new construction as well as for existing buildings all around the city so that they can reach their environmental goals. 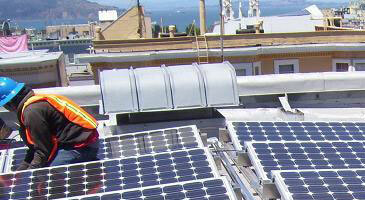 In order to achieve sustainable building standards and lower the cost of building green, the City of San Francisco provides incentives and services to a variety of projects. Learn more about sources of capital for green building improvements.